These guys killed it live. Ever since Beartooth released their first full-length album, Disgusting, back in 2014, we've been obsessed with the Columbus four-piece. The metalcore band was established by Caleb Shomo of Attack Attack! in 2012 as a distraction from the group, though it took on a life of its own following his departure from the band. A year later, the group was signed to Red Bull Records, and the rest, as they say, is history. The group released their sophomore album, Aggressive, this past June, and are currently in the midst of their tour with the same name. The rockers are making stops in the US, UK, and Europe, many of which are selling out—not that we’re surprised after seeing just how good they were in the flesh. We got to catch the “In Between” group in Orlando, and let's just say they put on one whirlwind of a show. 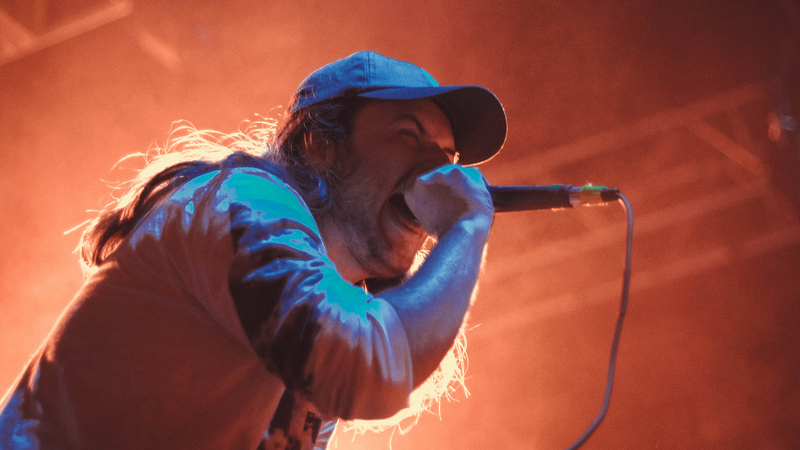 Check out our photos below, and make sure to Track Beartooth on Bandsintown so you don’t miss them when they’re in a city near you.